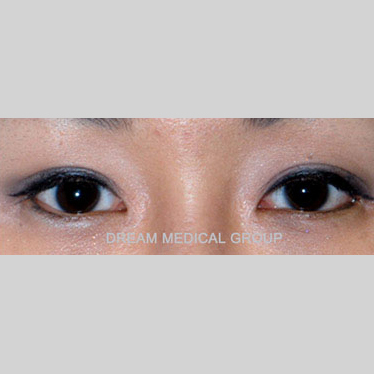 The “youthful” lower eyelid is the full lower eyelid found in a handful of young Asian women. It is called aegyosal in Korean, which literally translates to “affectionate and cute skin.” It is most apparent when one smiles, as the full lower eyelid pushes the eye into a friendly crescent-moon shape. It exhibits a warmth in the overall facial impression, as well as an innocent look of youth. 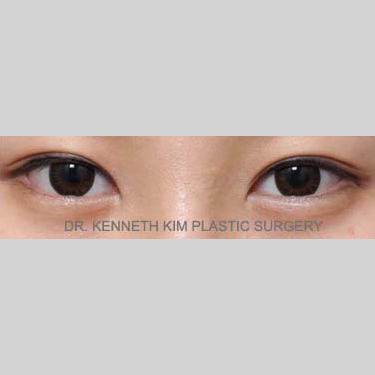 A full lower eyelid instantly rejuvenates a patient who has lost elasticity in the muscles of their lower eyelid. It is also suitable to those who have lost the youthful lower eyelid with age. It is especially appropriate for patients who have bulging eye sockets, as it balances an overly protruding upper eyelid. Together with a successful double eyelid surgery, a youthful lower eyelid can dramatically enhance the demeanor of the patient. 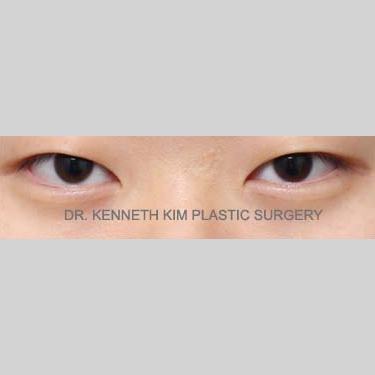 This type of lower eyelid can be produced with a fat graft injection, filler injection, and lower complex blepharoplasty. Youthful lower eyelid fullness can also be achieved with use of a filler. Compared to other fillers, Restylane® is preferred. The composite of Restylane® is ideal for this procedure as it has less tissue spread than other commercial fillers. The procedure takes approximately 10 minutes. Fillers can be injected right underneath the eye until a 3mm fullness width is achieved. There is close to no recovery time and one can typically resume with their normal schedule immediately after the procedure. One drawback in creating youthful lower eyelid fullness with use of filler is that the results can appear overdone and unnatural. In order to get naturally looking results using this technique, the surgeon must be very skilled and knowledgeable of the intricacies of this procedure. Results typically last one and a half to two years. Fat grafting is a great way to create youthful lower eyelid fullness with results that could last permanently. Fat grafting is the transferring of one’s own fat tissue to different areas of the face and/or body to create more volume. Fat is taken from areas of the body such as the abdomen, thigh, or hip area and then processed for reinjection in other areas such as the chin, temples, nose, eyes, breasts, and other areas of the body. A downside to fat grafting is that your body tends to reabsorb 30 to 50% of the injected fat, potentially requiring repeated treatments. There also may be a few days to weeks of post-operative swelling and bruising. This procedure will simultaneously create youthful eyelid through fat transposition, muscle release, and muscle suspension. 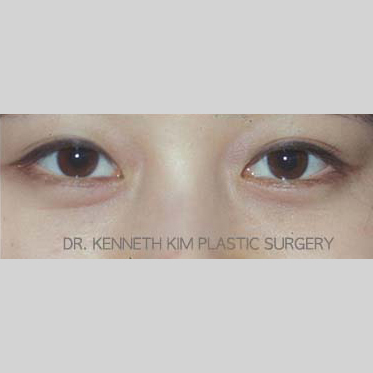 Youthful lower eyelid fullness procedure can be done in combination with lower eyelid surgery. Using the same incision site created for the lower blepharoplasty, the surgeon can create youthful lower eyelid fullness by suspending the orbicularis oculi muscle back to its original position. 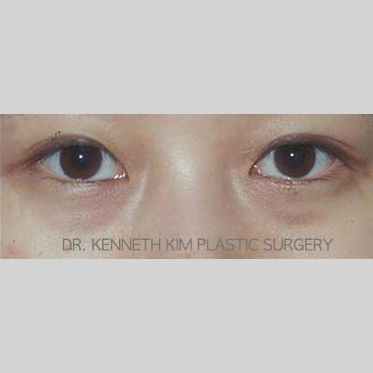 The advantage of this method is that the surgeon is using the patient’s own muscle in order to best mimic the natural youthful lower eyelid fullness.